At St. Mary’s we want all students to be able to engage in a variety of activities through PDHPE programmes. St. Mary’s has two specialist PE (Sport) teachers who focus on this essential and enjoyable part of the curriculum. Located so close to the beach and parklands, St Mary’s is ideally placed to offer a range of health and fitness opportunities. Children are able to participate in a wide variety of sports across the year in their scheduled class lesson. They can try their hand at anything from skipping, badminton, gymnastics and cricket to netball, T-ball, soccer, and cricket, to name but a few. In addition, they can partake in the annual school swimming, athletics and cross-country carnivals. Students who excel in various winter and summer sports may represent the school at interschool, diocesan, inter-diocesan and state level. There is an Inter-school Winter sport program for Years 3-6 and other community events such as the ‘Robbie Slater Cup’, NRL, Cricket, Eagle Tag and Netball clinics. 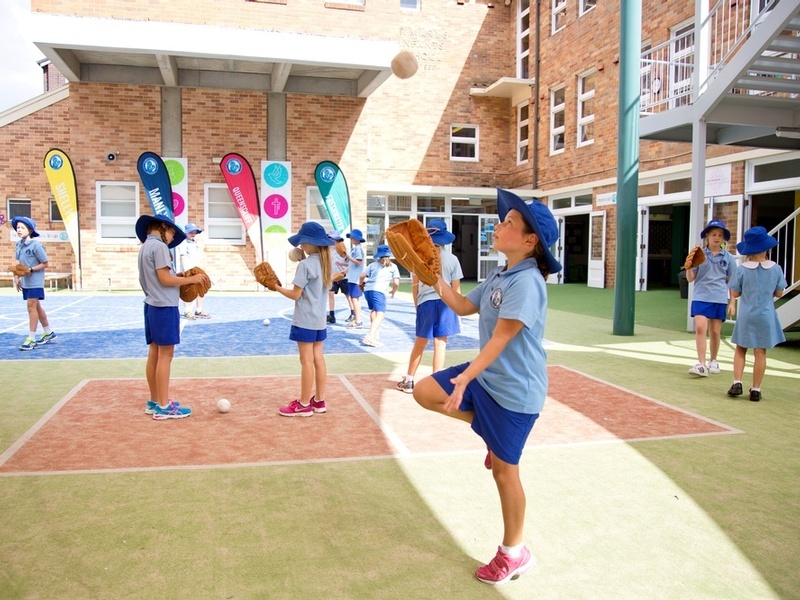 In addition, the Year 6 Sports Captains coordinate lunchtime activities for junior students in the playgrounds, while students in K-6 may be taken to the beach or Manly Oval for lunchtime sport activities.